The Washbag was launched in January 2010 and provides an independent look at Swindon Town Football Club. The website offers our readers a variety of views, analysis, in-depth features and match reports. We don’t report news as the website instead tells the story of the football club through relegation, demotion and perhaps a promotion from the perspective of a wide range of supporters at home and abroad. The website was originally launched as a one man blog and was named in dedication of the former Swindon Town goalkeeper Fraser Digby’s washbag. TheWashbag.com has grown significantly as it’s gained a wide audience and expanded with regular columnists, guest contributors and a podcast. Over the years we have had the privilege of interviewing several former Town players, including Fraser Digby, Charlie Austin, Jan Aage Fjortoft and Vincent Pericard. We’ve also been featured on TheGuardian.com, TalkSport, We Are Going Up! and many more. TheWashbag.com also led the local Football Supporters Federation Campaign for Safe Standing and campaigned to better understand and raise awareness of other issues which affect Town fans inside and outside the County Ground. We currently have several columnists writing for the site, including Ron Smith, Alex Cooke, Vic Morgan, Brendan Hobbs, Adam Tanner, and Mike Minihane along with several other regular match reporters and contributors including David Squires, Daniel Hunt, Joe Young, Niall Ratcliffe, Iain Watkins, Scott Keith, STFC007, Richard Banyard, Lee Clark, Matt Peach, Jonny Leighfield, Ben Wills and Calvin Hothi. You can become a contributor by contacting us. 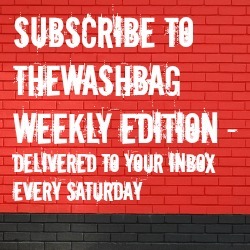 Keep up to date with The Washbag via Twitter | Facebook | RSS | or sign up for email updates on the sidebar.